Delicious! 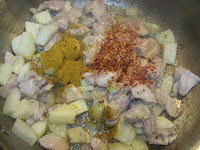 Before I developed allergies - I loved curry - but it was always the mild kind (that has cinnamon in it). I've never had the vegetables....great idea! It's lovely - milder than most, but adds that great flavor. I'm hungry! It's very delicious. I feel really very hungry after seen this yummy Chinese chicken curry. I want to eat this curry. 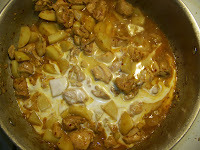 Yummy Chinese Chicken Curry and nicely served.Happy and Delicious Diwali to U. 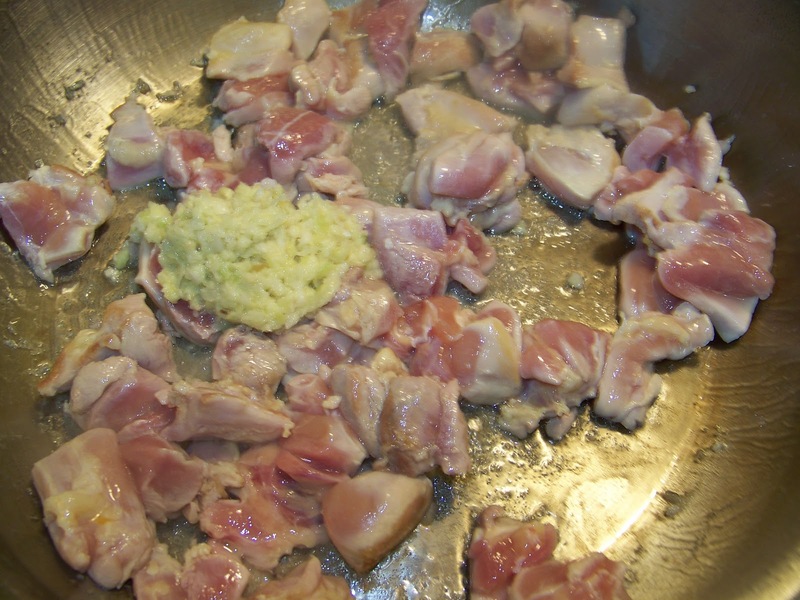 So you think curry powder and 5 spice are about what were in this? 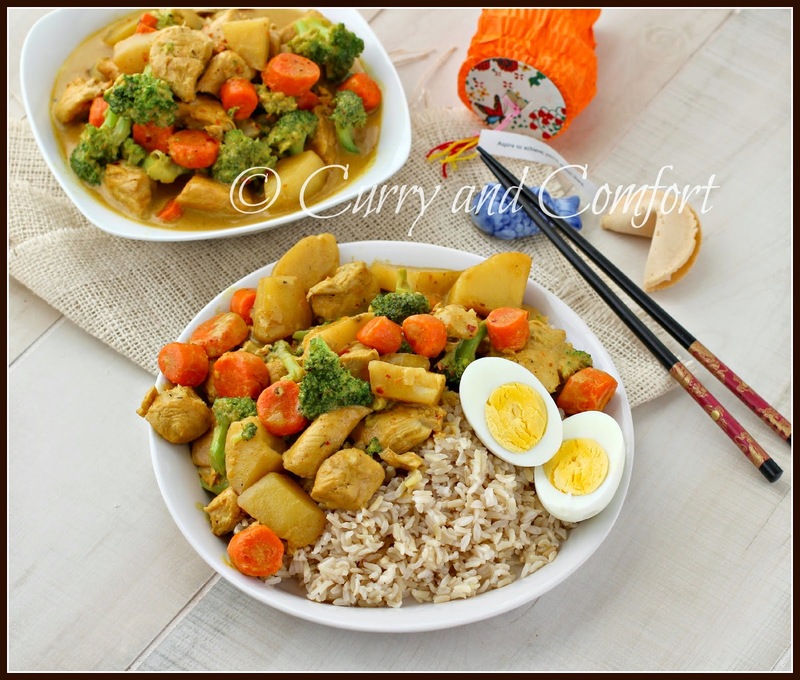 I'm fascinated by the curry showing up in an oriental dish as well (and love the idea). Your dish looks so, so good. This looks so much better than the bowl of cereal I just had! Very nice presentation. YUM.. looks so comforting and delicious. I'm in awe of anyone who can just make up a dish and have it turn out so well! Here you did it easily...and it looks delicious! This is so interesting. I haven't seen these spices in my grocery store before, but then again, I haven't been looking for them. Also, thanks for the notes! I'm excited to make this even if my store really doesn't have the proper spices. 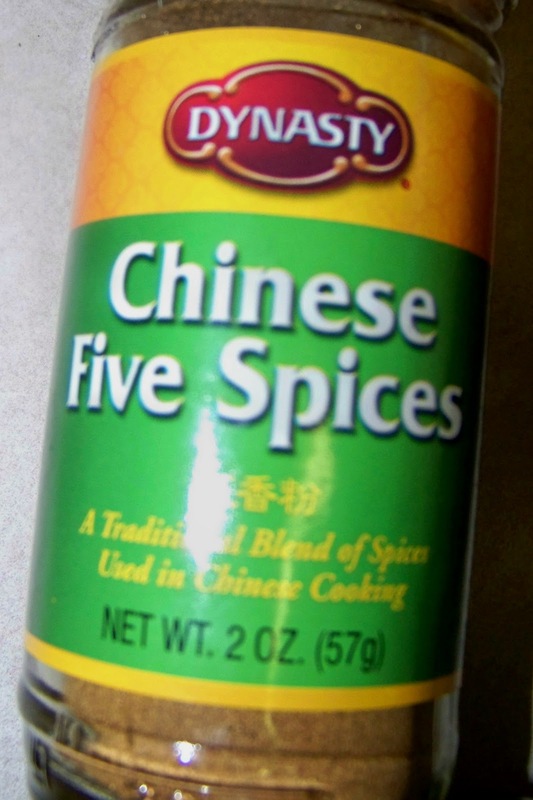 Five spice is truly a culinary gift. I love the flavor it gives to every dish I've tried it in (it's my secret to quick pho broth). Very good combo! I have never had curry wih potaotes in it. Sounds like a great recipe. 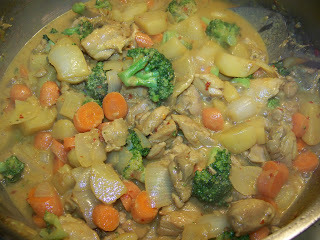 We are big fans of curry in this house (well hubby and I are). This looks terrific, and so doable for a weeknight dinner! Curry really is a global dish with so many versions from around the world. 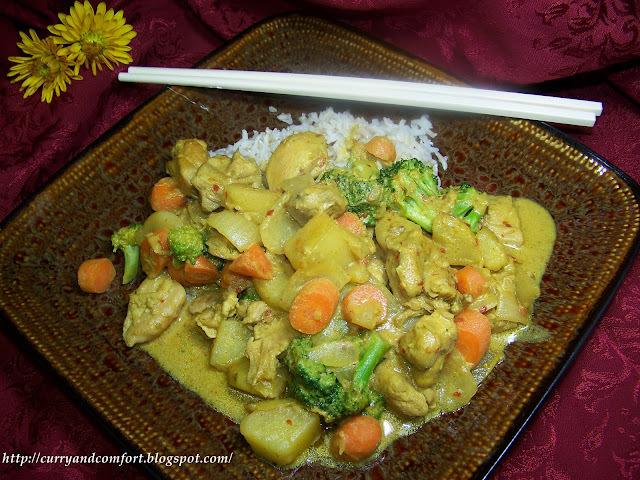 I love curry in all its many forms and flavors, great post! 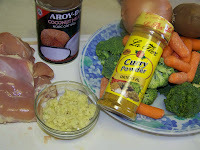 I love curry and I love all of the great ingredients you put into this dish! I was thinking the same thing. 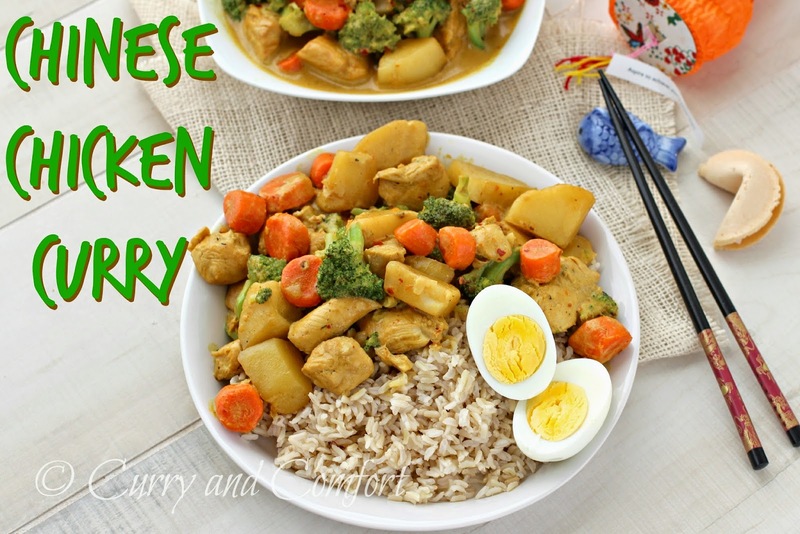 Iwouldn't think of curry as chinese, but this looks pretty tasty! I love Indian curry and the Chinese version of curry. The Chinese version is much more mild. It doesn't have the spice zest of Indian curry...but wow. Both are incredibly delicious...and altogether entirely different from each other! Yum much? 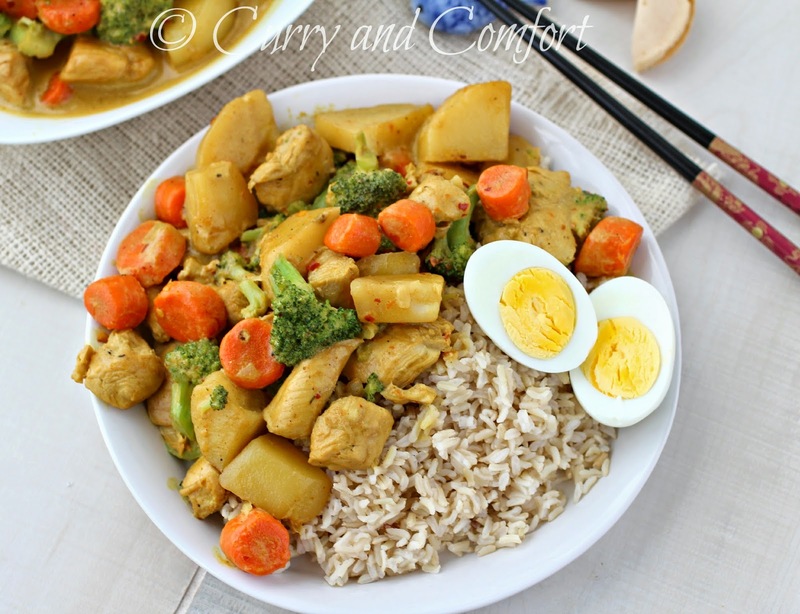 This curry looks so delicious! I love the colour, it looks so rich! 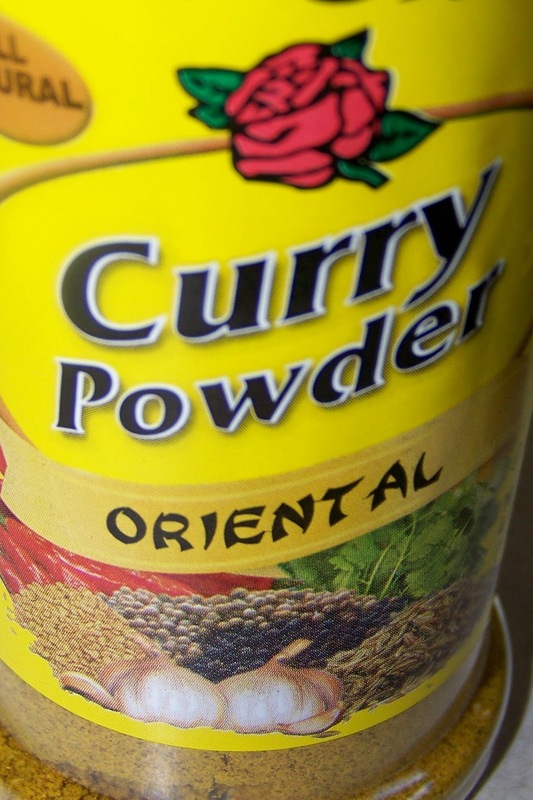 Hmm, now this sounds like a great curry. Like the use of coconut milk too. I have been making this recipe for the last year or two now. My whole family loves it! 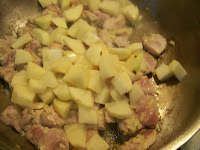 I use pork loin instead of chicken and I omit the potatoes. I add fresh mushrooms, a can of water chestnuts, and a can of baby corn. Delicious! Thanks for the recipe!